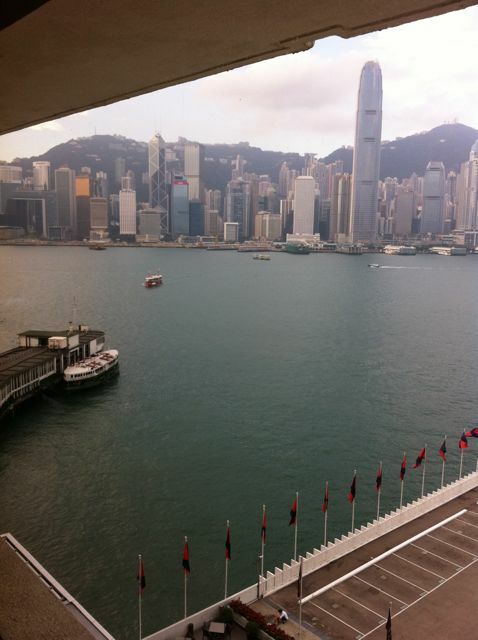 It's Hong Kong Harbour. We are all sitting in our bed looking at the view will Pickles checks out her loot from the Night Markets last night and I am finally getting a chance to blog . This is going to be a quick post, Pickles is starting to look at the pillows like they are food so that means that we are going to have to go looking for breakfast in a moment. 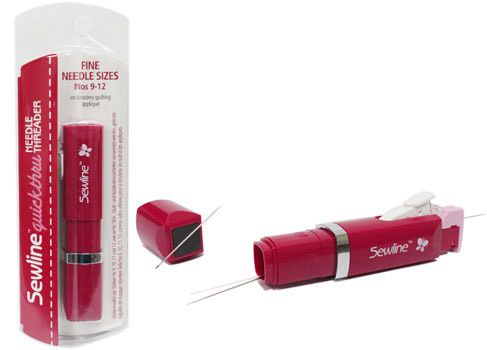 Sewline's needle threader has a great thread cutter on the side and a small compartment for holding a couple of needles and pins. I made sure that I had two number 9 needles and a dozen clover applique pins, all very small and all stuck into a small piece of wool felt and then put in the chamber under the threader. I also had a sandwhich bag filled with thread and my thread heaven, plus the squares I was working on. I sewed from Sydney to Hong Kong. And watched some movies at the same time. At the Hong Kong disneyland Hotel. And too and from Macao. we have a couple of days left here and then back we go home. But it's been great being able to work on my new piece "Bon Nuit". I'll write more when I can.